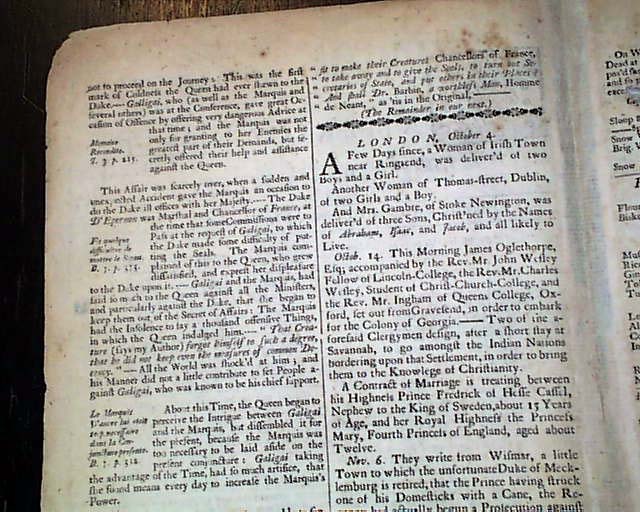 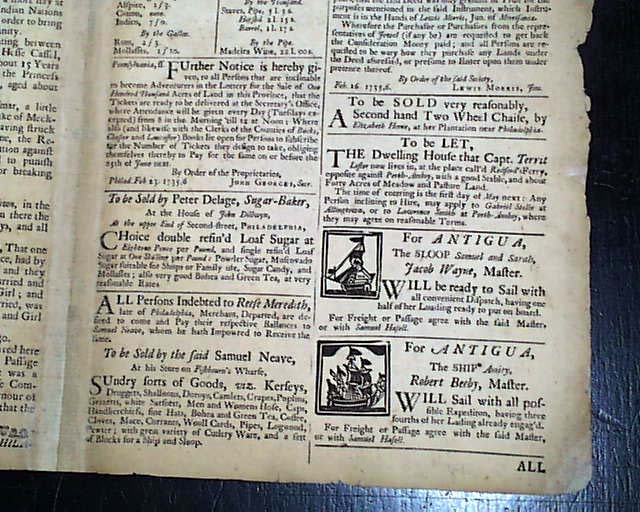 As any serious collector of newspapers knows, it is exceedingly difficult to find any colonial American newspapers from before 1760, let alone an issue from 1736. 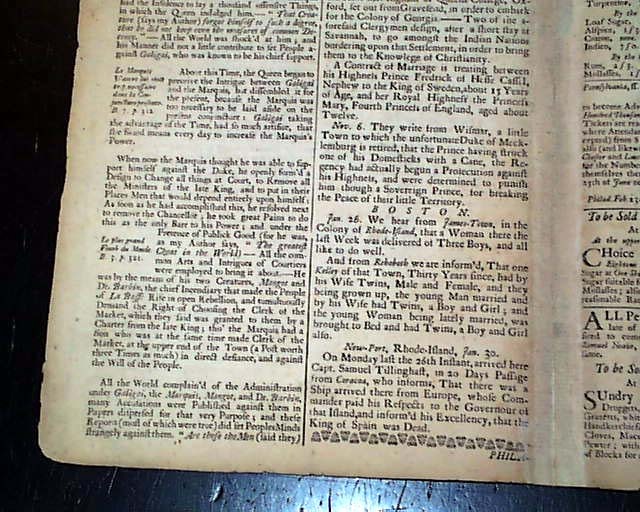 It began in 1719 and only published through 1749. 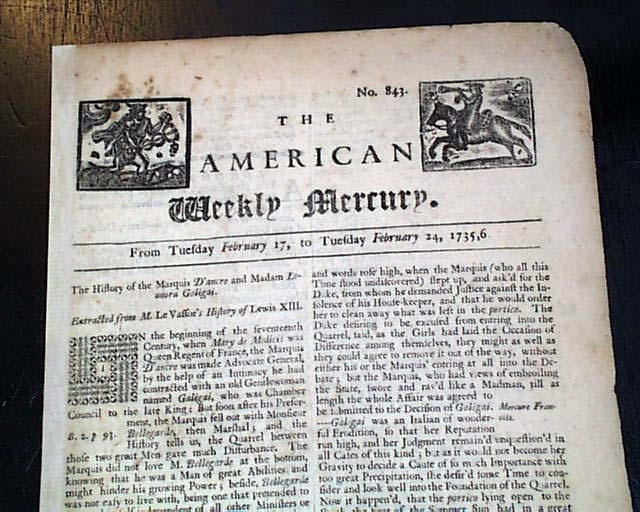 It was the very first newspaper in all of the Middle Colonies, and only the fourth newspaper published in all of the American colonies. 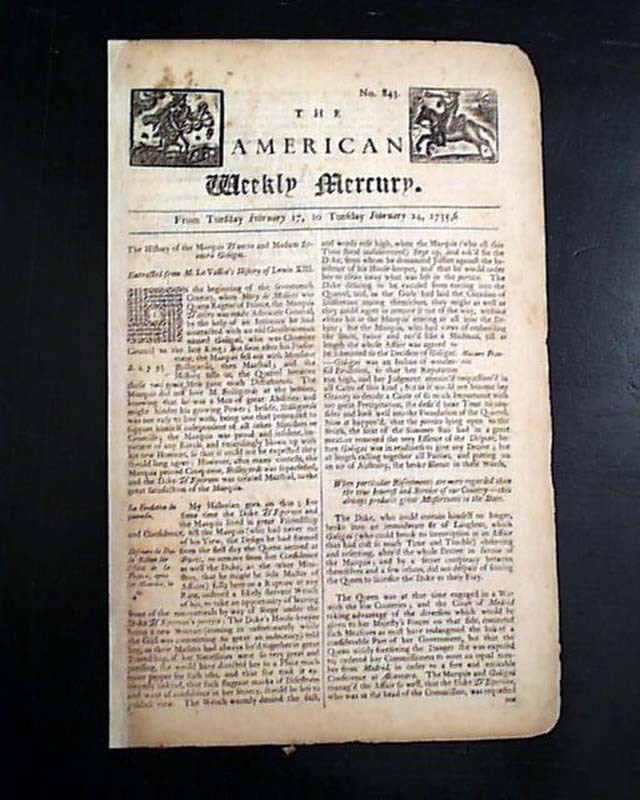 This is a great issue from the premier city of the colonies at that time--when Ben Franklin was just beginning his career--and a handsome issue as well, as the masthead features two wood engravings, one showing a newsboy on horseback "trumpeting" the news. 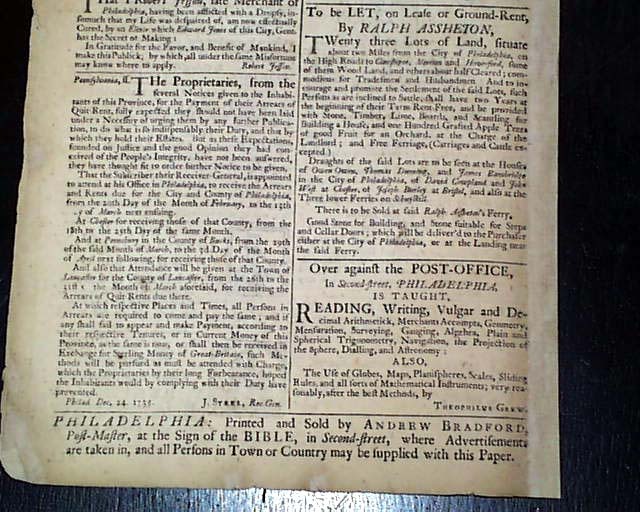 As was typical with such early American newspapers much of this issue is taken up with European reports but pages 2 & 3 have some news items under the datelines "Boston" "New-Port" and Philadelphia". 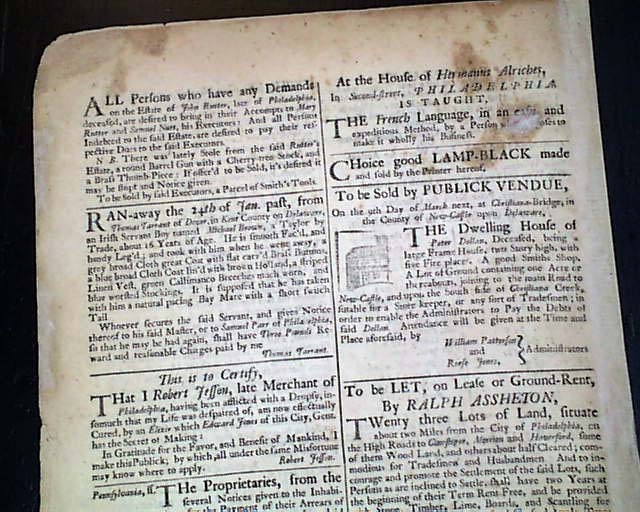 The back page is taken up with several advertisements. 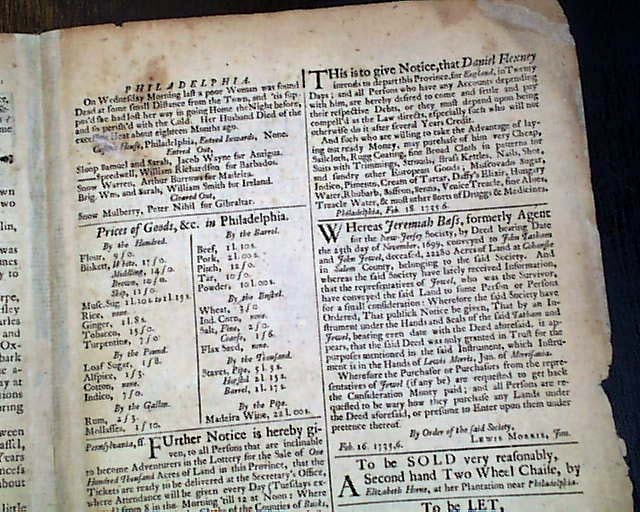 The imprint appears at the bottom of the back page: "Philadelphia: Printed and Sold by Andrew Bradford, Post-Master...". 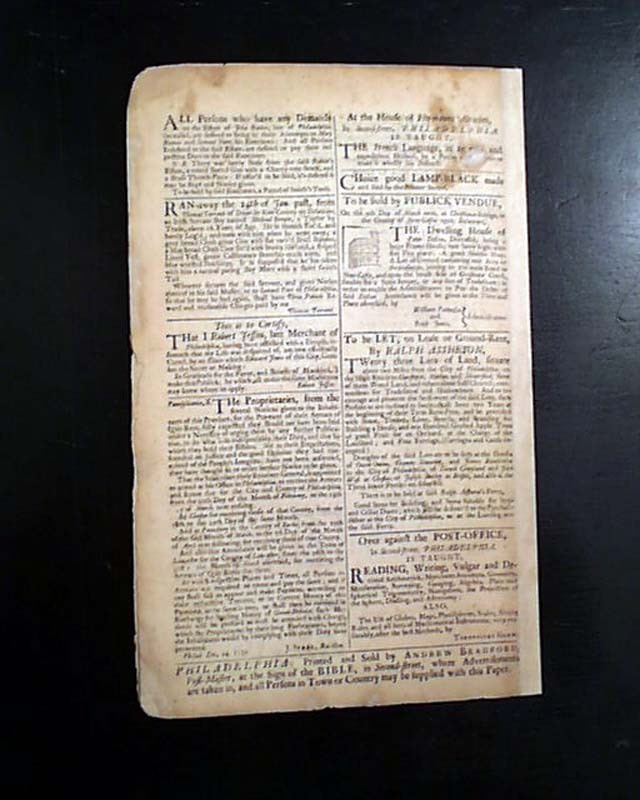 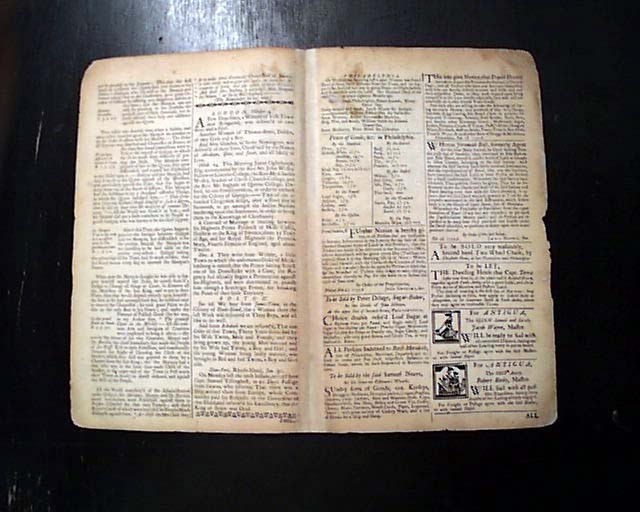 The Bradford family published newspapers in various towns during the colonial period. 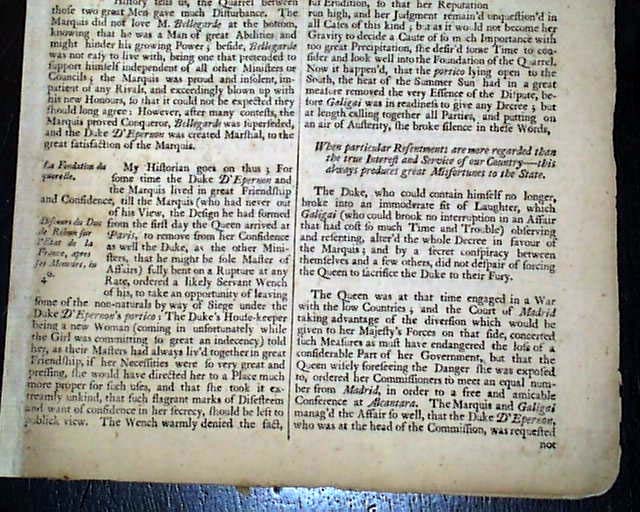 Four pages archivally rejoined at the spine, a few professional archival mends, very nice condition.